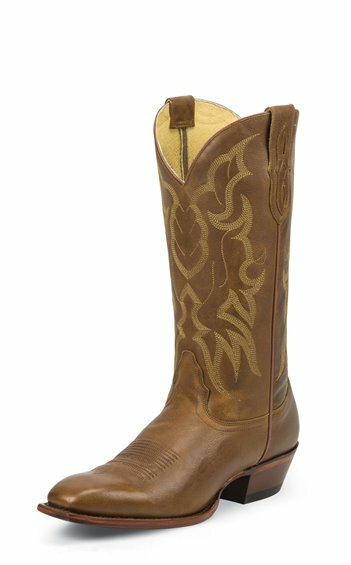 The Wister Tan 13-inch tall men's cowboy boot is a casual classic. Its pecan brown leather exterior has a polished sheen and is embellished by a simple cream stitch pattern along the upper. The narrow toe, standard heel, and cushioned insole provide a relaxed and comfortable fit in or out of the saddle. Its leather outsole is durable and guarantees extended wear.